Mr. Izham Mustaffa has dabbled in plantation management since year 2000. Prior to his service with FELDA, he works as an Assistant Manager (AM) until 2003 in several estates under Golden Hope Plantation Sdn. Bhd. It has been 14 years since he first joined FELDA as an Agriculture Officer (AO) from 2003 until 2008. 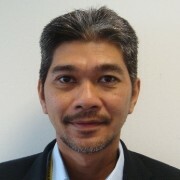 He was then promoted as the Assistant Regional General Manager (ARGM) in 2008 and Regional General Manager (RGM) later in July 2009 at FELDA Wilayah Trolak, Perak. As an RGM, he was then called for duty at FELDA Wilayah Raja Alias, Negeri Sembilan until December 2014. Due to his immense efforts in serving FELDA, Mr. Izham has been appointed as the Head of Agropolitan at FELDA’s Headquarter during early 2015 and not long after he was then promoted as the Director of Agriculture Department of FELDA. In June 2015, the department has been renamed to Plantation Department which remains until today. In addition, Mr. Izham Mustaffa is one of the board members in Ladang Tai Tak Plantations Sdn. Bhd., Felda Technoplant Sdn. Bhd. and Koperasi Kakitangan FELDA Malaysia Berhad (FELKOP). He also currently is the Alternate Board Director of Sinergi Perdana Sdn. Bhd. Mr. Izham Mustaffa who was born on 30th March 1975 holds a Master in Plantation Industrial Management in 2010 from Universiti Teknologi Mara (UiTM), Shah Alam. He was also a former degree student at the Universiti Putra Malaysia (UPM), Serdang in 1999 doing Forestry Management.